Vintage mid century modern white glass 3 way light up table lamp. This is a beautiful white with gold details working globe lamp Hollywood Recency style/Retro Bohemian lighting. 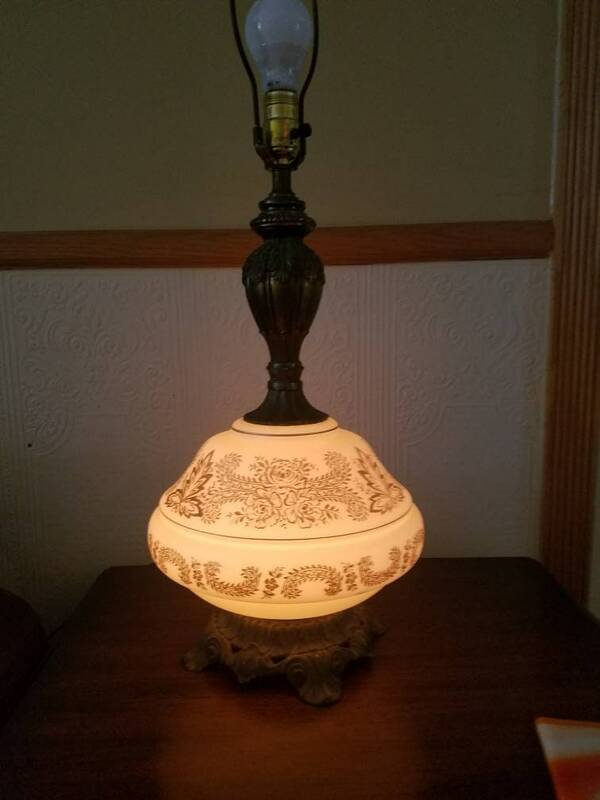 Vintage White Milk Glass Lamp with Metal Base.